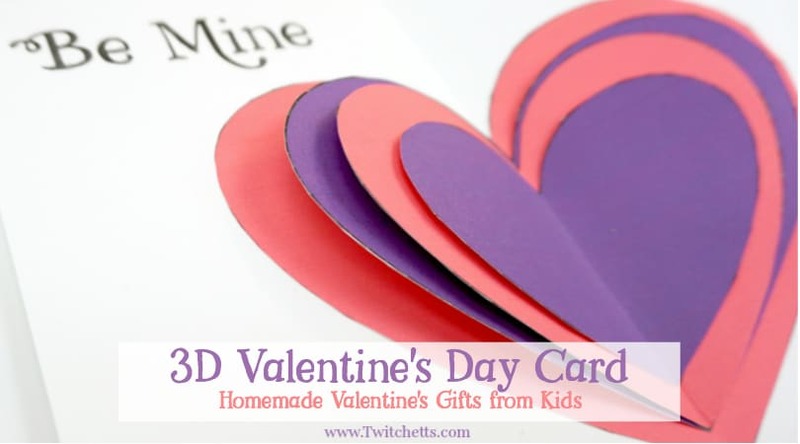 Did you know that hearts make amazing construction paper flowers? 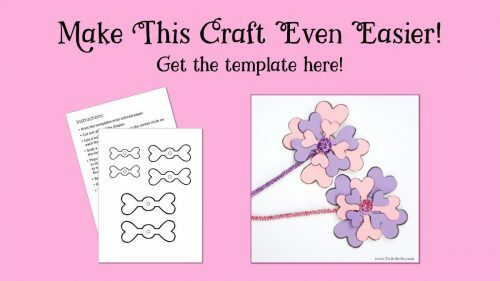 Let us show you how easy and fun this craft is to complete. 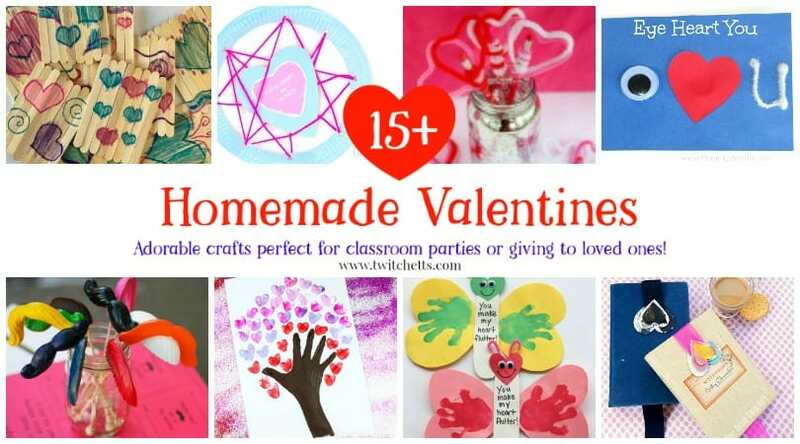 From homemade Valentine’s Day fun to a creative gift on Mother’s Day! 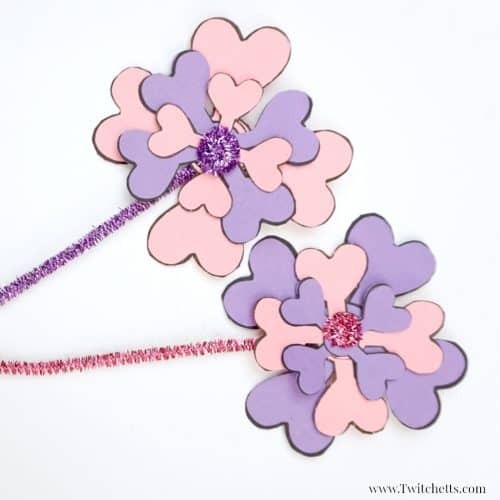 We have made quite a few different construction paper flowers in the past. 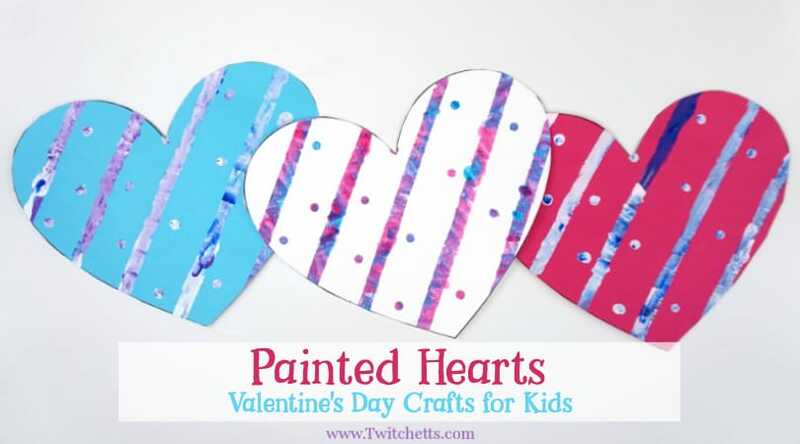 This one is perfect to make for someone you love! 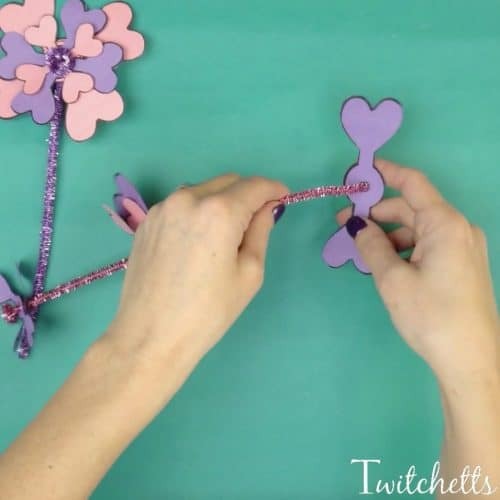 Make one, two, or a whole bouquet using our template and these easy instructions. My daughter loved the sparkly pipe cleaners. They give the flowers that something extra! Pipe cleaners. We used fun sparkle ones! 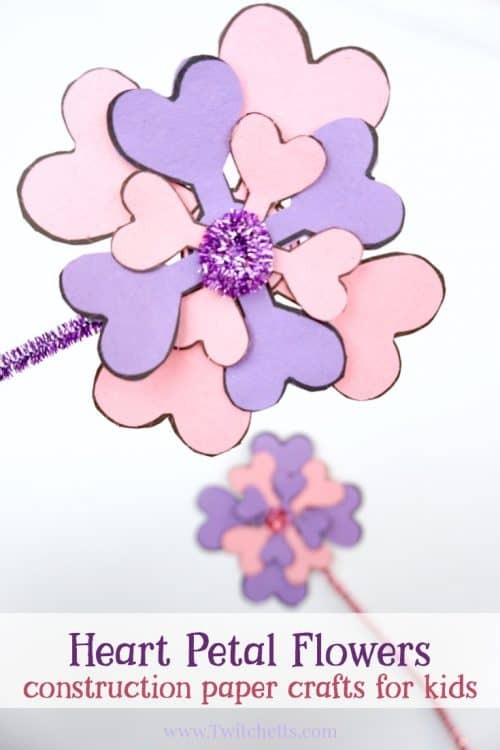 Check out these step by step instructions to create construction paper flowers. Then you can watch it all in action in the video below. Print your template right onto the color you want to use or on white and color in. Then cut out each shape and punch the hole in the center. 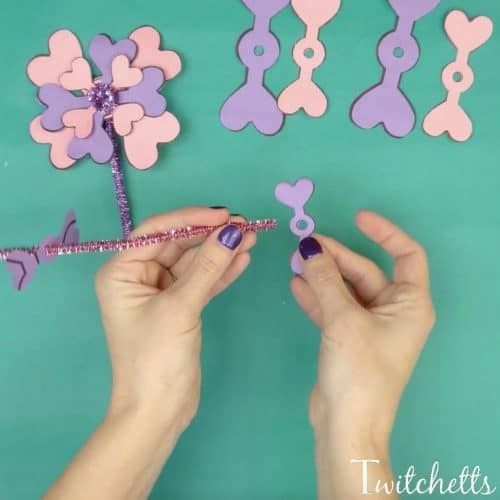 Next, grab a pipe cleaner and bend it about 1.5″ down at a 90-degree angle. 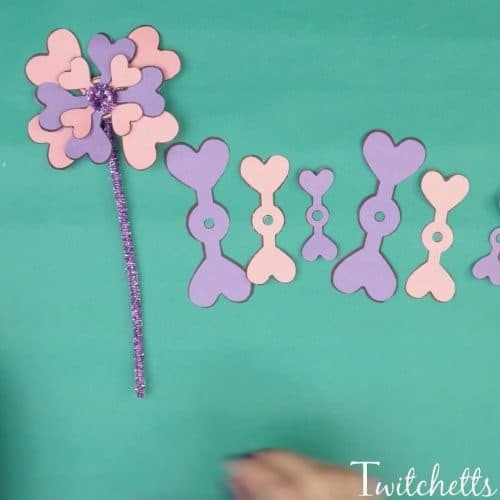 Twist the pipe cleaner around to create a circle. This will be the center of your flower. Starting with your smallest heart petals lace on 2 of each petal size. Next, add the medium petals followed by the large petals. 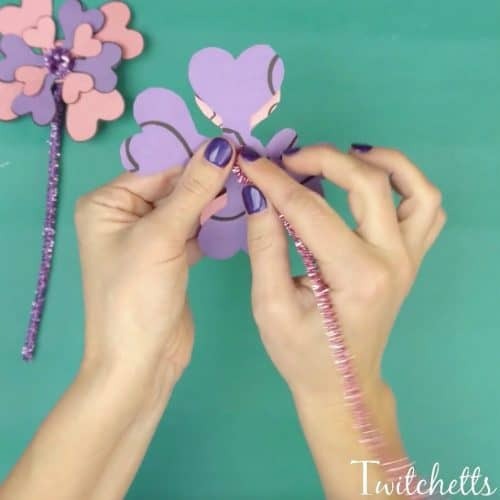 When you have your second large petal on, bend the pipe cleaner on the bottom side to secure the petals tight. 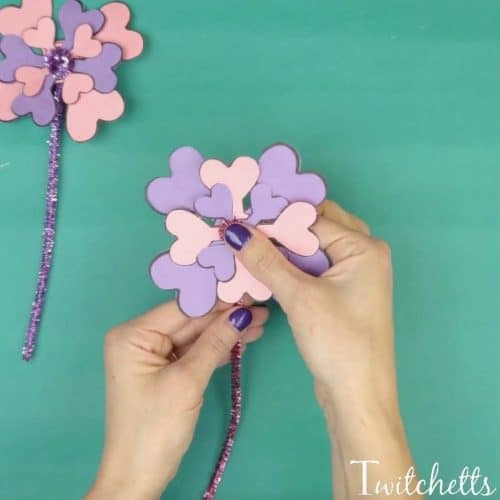 Rotate and position your petals until you like the look and give the pipe cleaner one more pinch. 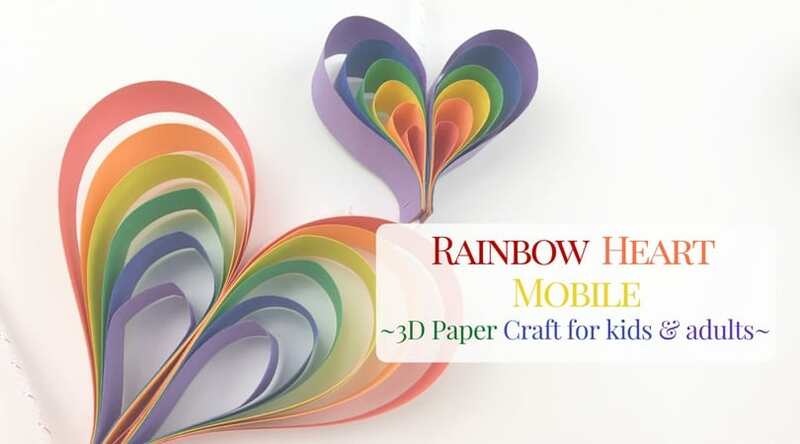 Watch this fun paper craft in our video! 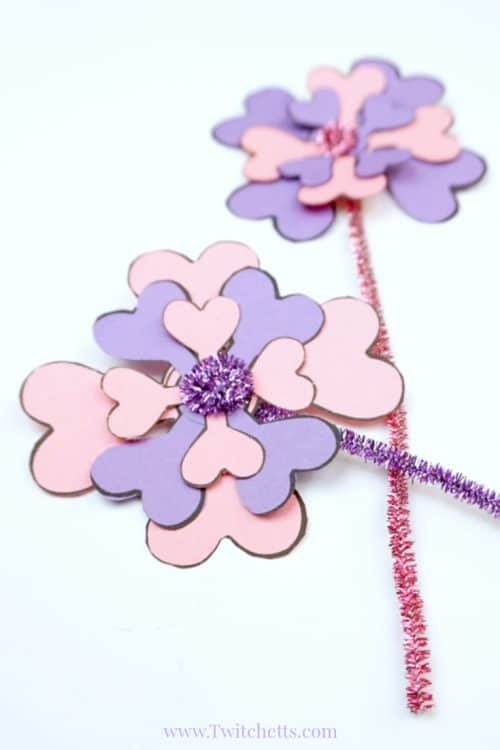 Place these adorable flowers in cards, on the walls as decoration, or hand out to loved ones.